Leverage Moka open platform with more than 10.000 merchants to improve your product offering or integrate your existing applications. Provide better values and benefits to our mutual customers and generate new revenue streams for your business. 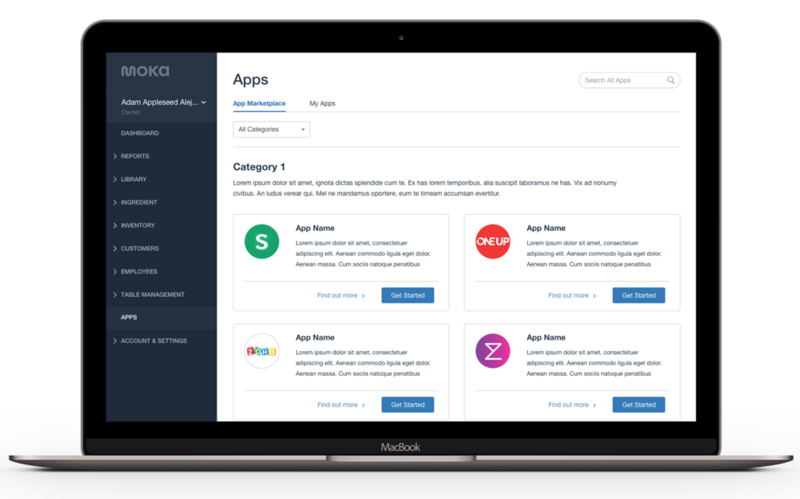 Once your app is integrated and approved, your app will be available on Moka App Marketplace to be explored and utilized by all of our merchants. Merchants can download the details of their sales, either summarized or parsed with items, categories, etc. Make your stock level accurate by our Library API. Merchants can track the details of their items & inventory information. Check the details of the transactions made, such as the services or items purchased, discounts, and taxes. Merchants can access the details of the business, ranging from outlets, to users, to customers. Moka has a history of disruptive innovation, and now we're providing these tools so you can build custom solutions for any business need.